Yes! 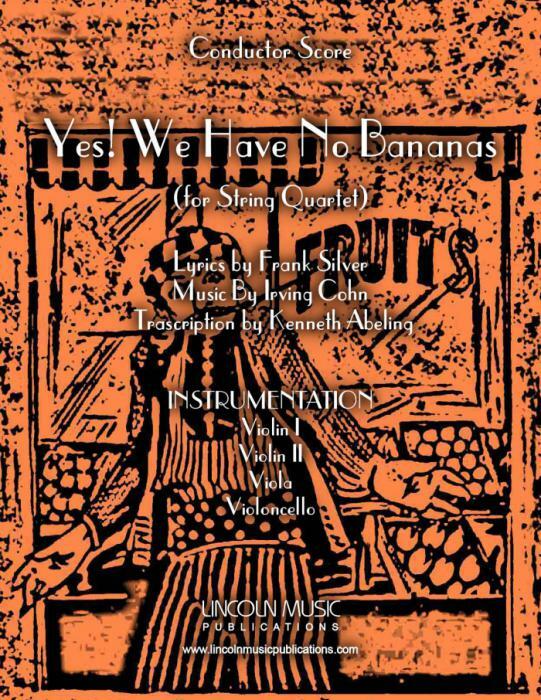 We Have No Bananas, Lyrics & Music by Frank Sliver & Irving Cohn for String Quartet and arranged by Kenneth Abeling. This is a moderate level arrangement of one of the most popular & comedic novelty songs from the early 1920s! Playing Time 2:45.